The Temple Mount in Jerusalem exercises a bewitching lure over Jews, Muslims and Christians. Not even the famously sober Dutch Calvinists could escape its spell. 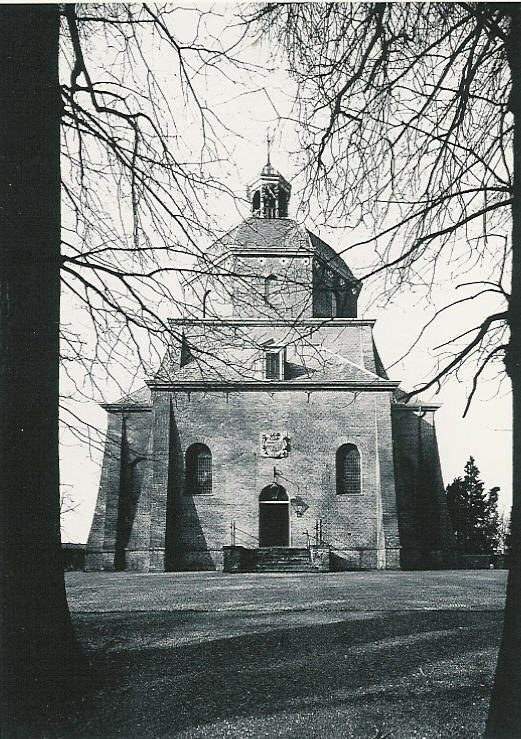 At least four seventeenth-century churches in the Republic were identified in form with the Temple. So was the Portuguese synagogue in Amsterdam. As similar as these features of the churches and the synagogue may look, the meanings they convey are antithetical. Every weekday from 9 to 11 and afternoons from 2 to 5 Rembrandt could have walked around the corner from his house on Uilenburg Island in the east of Amsterdam to the room “on an alleyway next to the Gilded Falcon” where Rabbi Jacob Jehudah Leon, called Templo, made his famous model of the Temple of Solomon available to the public for a small entrance fee. If Rembrandt ever did so, it does not show in his own depictions of the Temple. Templo adapts the classicizing architectural vocabulary he found in the reconstruction of the Temple by the Spanish Jesuits Jeronimo Pardo and Juan Bautista Villalpando. The gate to the Temple is a rectangular opening in a wall with applied columns. 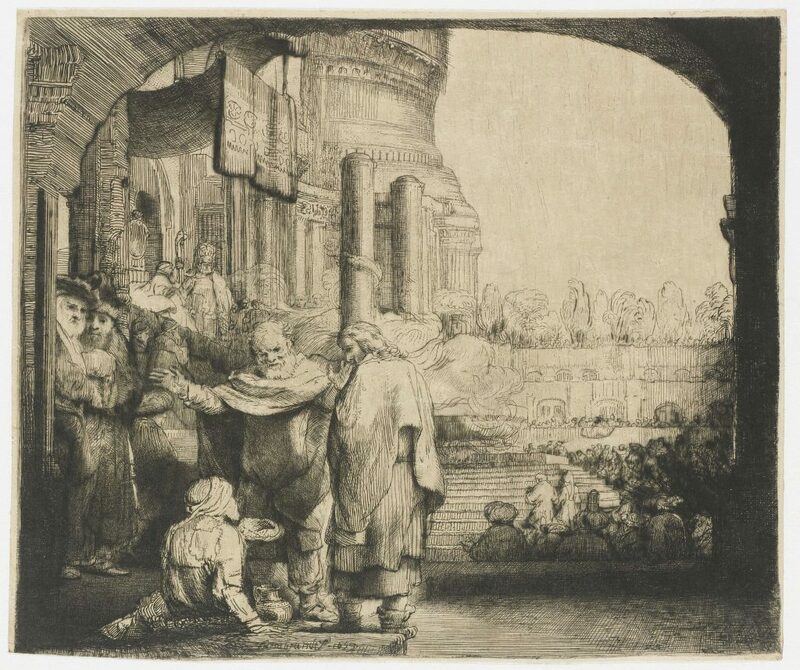 The “Temple gate called Beautiful” is where the action takes place in the story of Peter and John healing a cripple (Acts 3:1-10), the subject of Rembrandt’s most explicit depiction of the Temple exterior. Here we look through a shallow arch onto a seemingly incoherent accumulation of architectural features, with the messianically suggestive columns Boaz and Jachin in the middle. If we try to take account of perspective and begin with the diminutive size of the figures in the lower terrace on the far side of the courtyard, the round, fancifully articulated tower to the left behind them must be as big as a mountain. Fortunately for his livelihood, Templo had better customers than Rembrandt. Among them were architects who wished to endow the churches they were building with something special. What could be more special than a building designed by God himself (1 Chronicles 28:19)? 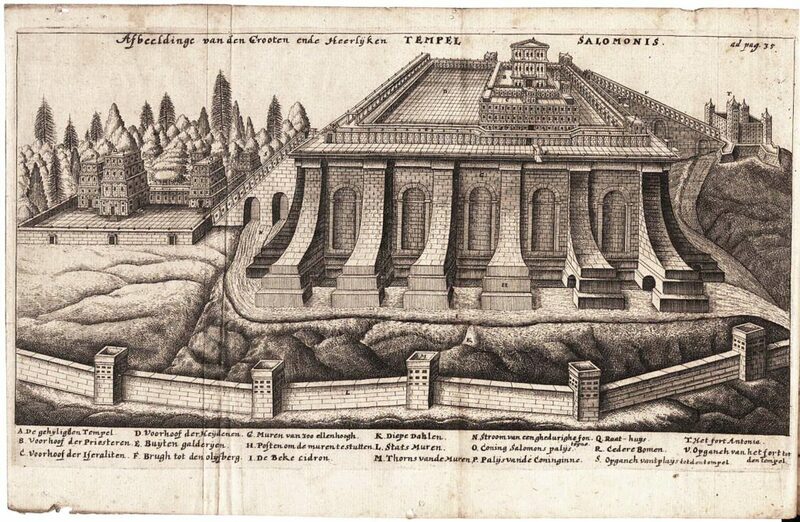 One way of bringing that divine Temple down to Dutch earth was to give a church a round or centralized groundplan. 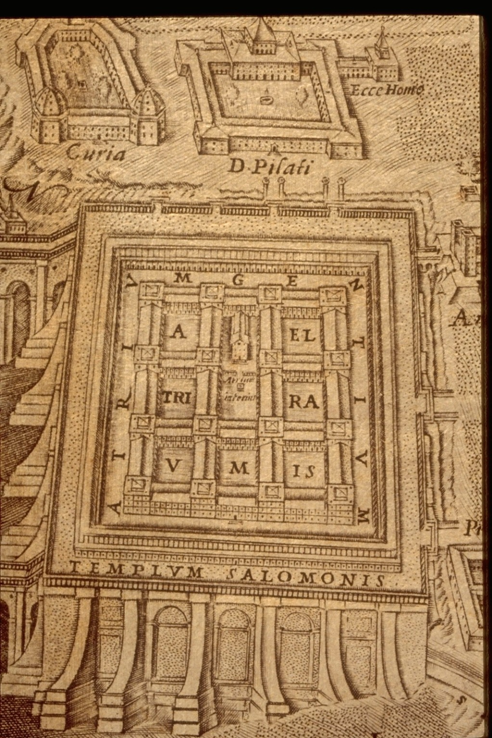 This followed the model of the Dome of the Rock, which was seen, uncritically, as a successor to the Temple of Solomon. Another was to provide a church with one particularly conspicuous feature of the reconstructions by Villalpando and Templo. That is the flare at the base of the outside pilasters. Although this touch is found in the reconstructions only in the giantesque supporting structure on which the Temple stands, Dutch architects treated it as a characteristic marker of the Temple itself. The earliest application of this device is found in the churches of Renswoude and Hoge Zwaluwe, both built in 1639 to the design of Jacob van Campen (1595-1657). 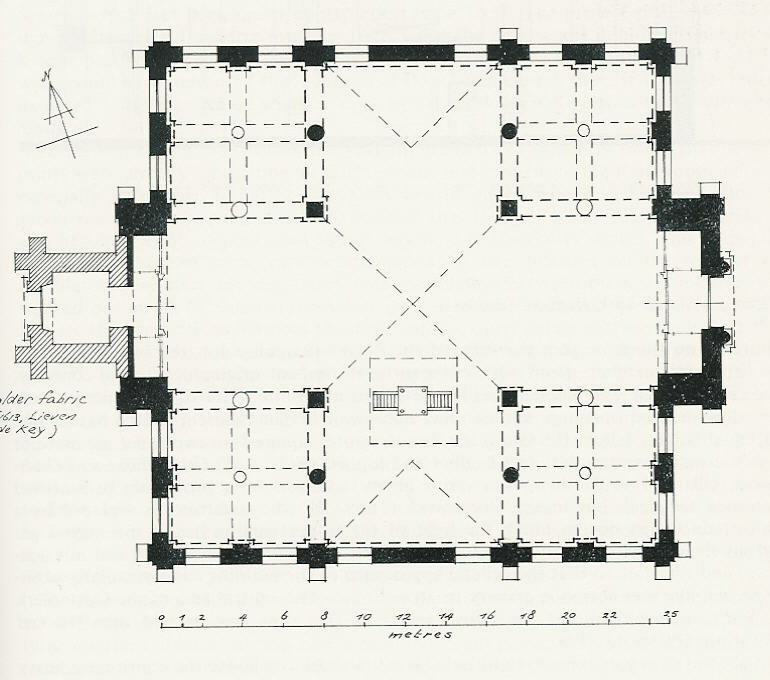 Van Campen gives the buildings a centralized groundplan, like the Dome of the Rock, and the flared pilasters from Solomon’s Temple, lending these small churches a nearly mystic dimension. 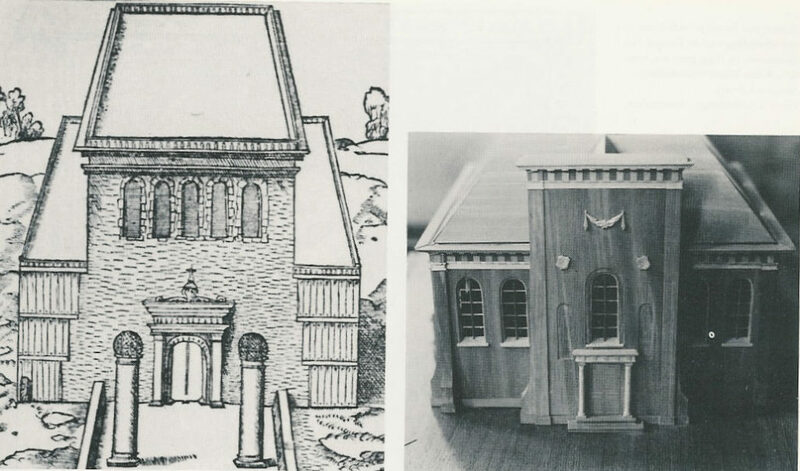 Here is a comparison of a detail from the Villalpando reconstruction and the northwest corner of the church of Renswoude. By a fortunate coincidence, we know that Jacob van Campen consulted Villalpando’s book (in 1634 he borrowed a copy), but even without that evidence no one could doubt that it was a source of inspiration for him. 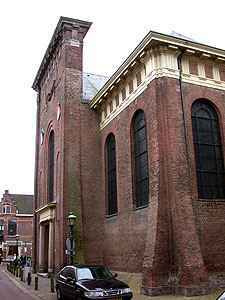 The best-known Dutch church showing these features is van Campen’s Nieuwe Kerk in Haarlem (1646). There again are the unmistakable protruding pilasters, once more the central plan (left), here compared to Villalpando’s plan of the Temple Mount. To which van Campen now added a third Temple marker. 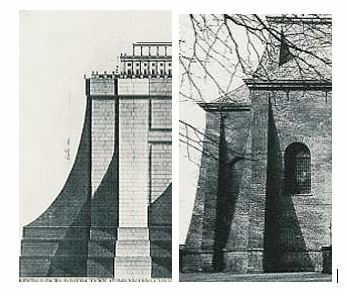 Before Villalpando, the French humanist François Vatable (d. 1547) had published his own reconstruction of the Temple, which van Campen also must have known. The Temple front, with its rising entrance bay, was clearly adapted by van Campen for the Nieuwe Kerk. Without the freestanding Boaz and Jachin drawn by Vatable, it is left up to the Doric columns flanking the doorway to remind us of them. The 1670s saw a remarkable resumption of this metaphysically ambitious symbolism. 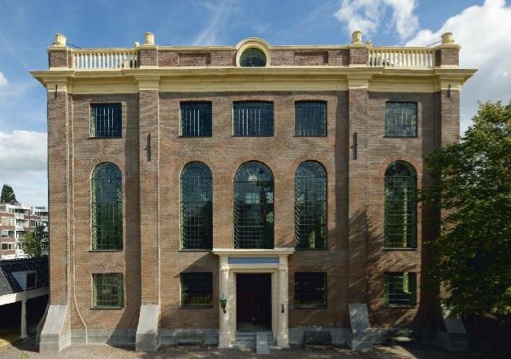 Two Amsterdam city architects gave two buildings the Temple attribute of the flaring pilasters. One was Reformed Christian, the other Jewish. 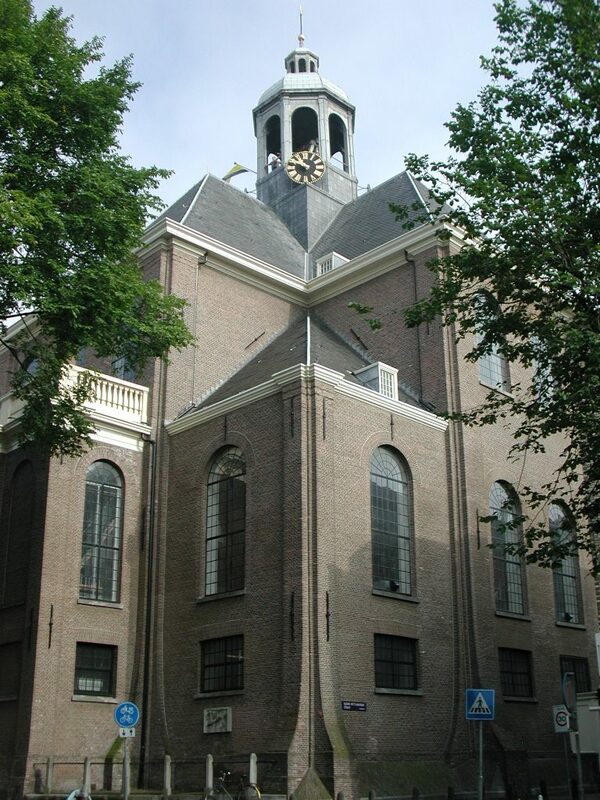 In 1671 services were initiated in the Oosterkerk, built by the town architect Daniël Stalpaert (1615-76). It has the centralized groundplan of the van Campen churches and the telltale flaring pilasters. In the same year construction was begun on the Portuguese synagogue. The architect was Elias Bouman (1636-86), a former apprentice of Stalpaert’s and a future town architect. The building is longitudinal, with side aisles as high as the nave, so that light from the large windows flows through the interior. The outer walls are adorned by pilasters of the type we now know well, curving outward at the base (though closer to the ground) and standing for the architecture of the Temple. Here they are revetted with the sandstone that covers the lower courses of brickwork around the entire building. The central doorway shows the understated reference to Boaz and Jachin found in the model of the Nieuwe Kerk in Haarlem. As similar as the architectural motifs may be in the synagogue and the churches, the religious meanings they convey could not be more different. A Jewish synagogue indeed embodies in several of its mandatory features elements of the destroyed Temple, in continuation of certain liturgical functions. However, the building itself has no spiritual status and can be built in any form whatever – usually the going style in the surrounding culture for places of worship. The flaring pilasters on the Portuguese synagogue were therefore no more than sentimental reminiscences of lost glory and anticipations of the speedy rebuilding of the real Temple that Jews pray for three times a day. That is not true of church architecture, which can have fargoing spiritual pretension. Catholic churches are hallowed domiciles of the Lord, and although the Reformers rejected this notion, they were not entirely successful. The distinguished historian of Dutch church furnishing, the late C.A. van Swigchem, a committed Calvinist, would have liked to honor the Protestant claim to have done away with this belief, but he was too honest to ignore evidence to the contrary. In his indispensable book Een huis voor het Woord: het Protestantse kerkinterieur in Nederland tot 1900 (A house for the Word: the Protestant church interior in the Netherlands until 1900), he reluctantly quotes a Dutch edition of 1675 of Charles Drelincourt’s impeccably Reformed treatise Het rechte gebruyck van des Heeren H. avontmael (The proper practice of the Lord’s Holy Communion; van Swigchem spells the title differently and does not name the author, but this must be the book). In providing a church with attributes of the Temple, Calvinist church boards were not paying tribute to the Jewish Temple. They saw themselves rather as the recipients of the grace that the Jews had wilfully refused to accept. Their churches were replacements of the sanctuaries of the Old Dispensation. Taking on elements of the Temple was a way of demonstrating this indisputable belief. If these projects – Jacob Jehudah Leon’s Temple model, financed by Dutch millennarian Christians, and a synagogue built in a prominent Amsterdam location by a Dutch Christian architect – cannot be called ecumenical, they nonetheless evince true Christian-Jewish cooperation. That was a lot, and I for one still respect it. The wreckage being committed on American democracy and ethics by the president and his party goes too far to allow (me, at least) an appropriate reaction. I have crept into the comfort zone of my work and home life, which still feel unendangered, although I know better. I am not even able to follow the tweets of my more intrepid friend Simon Schama and the blogs of Richard Falk. One development of the past days that does keep me awake is the putsch performed by Donald Trump on the Consumer Financial Protection Bureau. The illegal appointment of Mick Mulvaney as director, a man who has called for the dissolution of the bureau, above the procedurally prescribed deputy director Leandra English, is bad enough. What I find even worse is that the brutal takeover of this sensitive body was condoned by U.S. District Judge Timothy J. Kelly. Kelly was appointed by Trump in September, one of the reactionary figures, loyal to Trump, who will extend the vicious spirit of Trumpism to the judiciary, in lifelong tenures that will far outlast Trump himself. See the article on this development by Charlie Savage in the New York Times. My only objection to this excellent text is that Savage calls these judges “conservative.” That is not the right term for people who are out to demolish all and everything in American law, society and politics that they consider liberal, no matter what its value and support in the electorate.